Vertical gardening has become the rage. There are so many ways to achieve this type of gardening but we found this one where they used a garden trellis to get the effect that is desired. They are showing you how to build your own trellis and create a focal point in your yard or planter pots in one afternoon. A trellis is a great solution to hid an eyesore or divide a space. 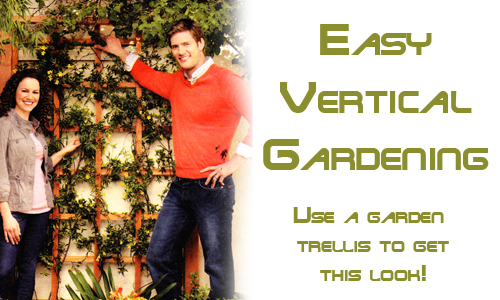 Hardware stores carry the pre-made latticework and post uprights you will need to construct a simple garden trellis. Cedar, redwood, and pressure treated lumber are the best choices of wood for outside use. Remember to only use galvanized steel screws and nails to secure the trellis frame. Plan before you make cuts, and follow all safety precautions when using tools. Use a post hole digger to dig deep enough to safely support the trellis through all weather conditions. Pour a few inches of gravel at the bottom of the trellis or the garden pot that you may be planting in. Set the trellis posts in the hole. Make sure the posts stay level as you tightly pack the holes with a mix of dirt and gravel. Once the trellis is secure, place your climbing plants in the ground and use biodegradable string to tie up and train your plants growth. Instead of planting directly into the ground you can use a garden planter as the base and place the lattice inside. Place the pot and lattice along a bare garden wall or anyplace that you need to add color and decoration. Read more.....Autumn containers featuring evergreens. 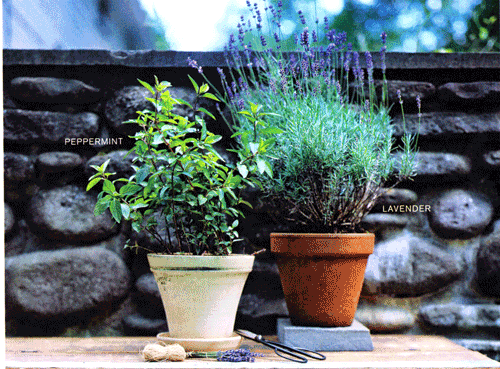 Container gardening with herb plants is an easy alternative to keeping a formal herb garden. Here are a few tips to help you get it right! 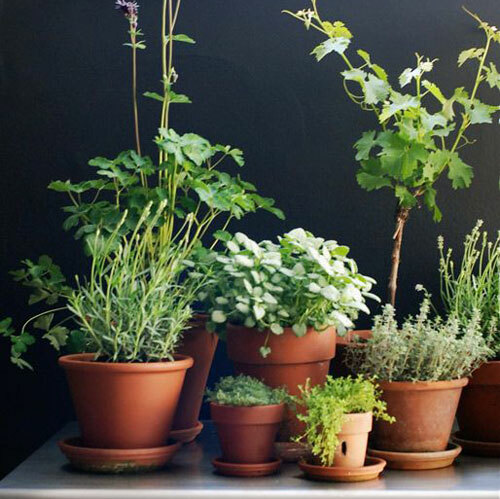 When considering whether or not to pot your herbs when planting, you must take into consideration if you have limited space, maybe bad garden soil, want to keep the herbs next to the back door for convenience of use in the kitchen, keep them from taking over the whole garden or just to prolong the growing season. Maybe you live in a downtown high rise, an condo or apartment and don't have any space but a window ledge or balcony. Whatever your reason, potting your garden herbs instead of planting directly into the ground is easy and abundant. Here's how. When choosing the container to use we first must decide if we are planting outdoors or indoors. Obviously indoors require a smaller size garden planter and a saucer to catch water run off. You can also pick a colored container that compliments the indoor room style and decoration. Terracotta planters are best whether you plant indoors or outdoors because the clay breathes and is the healthiest choice. However, they may not always be the first design choice and there ceramic and other products can work very well also. You can plant all the herbs in one large garden pot or separate them into different pots for each type. 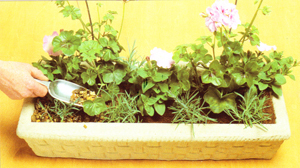 There are planters made specially for herbs, which have multiple pockets for each type. They are usually called strawberry or pocket pots. Be sure not to overcrowd the pots so that each plant has enough space to expand and reaches its potential. We like to use pots to contain the root system on invading types. You can plant directly into the pot and then plant the pot directly into the ground. When it comes to selecting the types of herbs you can experiment to your hearts desire. 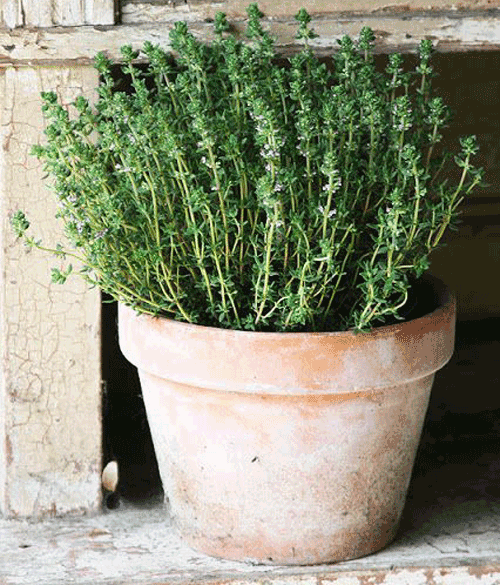 Most herbs will grow indoors or out with great success. Try keeping the kitchen herbs you use the most in cooking on the counter top within reach or place the pot right outside a kitchen window for easy access. 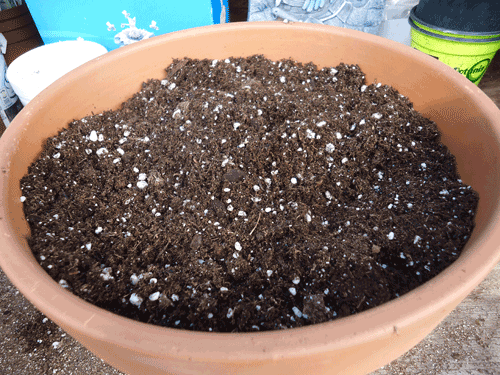 Use a good potting soil and use a fertilizer during the growing season. 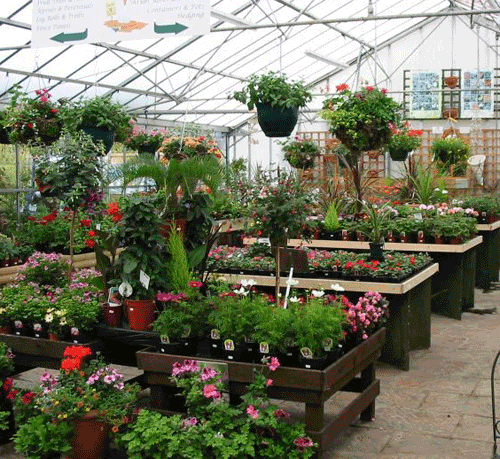 Keep all pots indoors or out well watered and don't let them dry out completely. By keeping the herbs trimmed will prolong their life cycle and help the re-growth. Growing them in containers is easy, fun and rewarding to do. 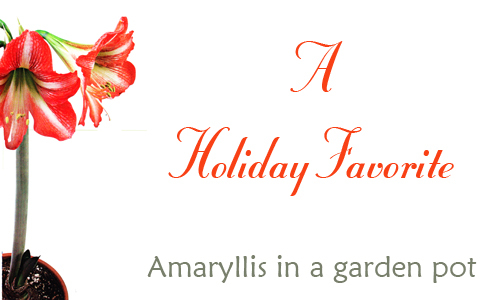 Read more.....The lore & legends of garden gazing balls. When your garden area calls for more than the usual and you are searching for a dramatic touch, we have a few suggestions! 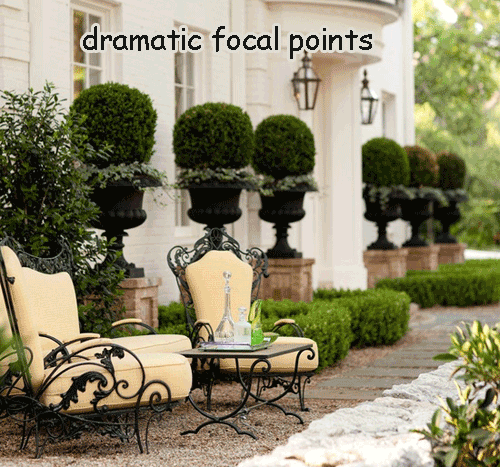 To make a dramatic garden effect you need to go above and beyond the norm. Include supersized garden containers that are massive & stunning in size and beauty. Bright colors and fun designs are all acceptable but size alone can make a pretty powerful statement. Use unusual art in the garden area. 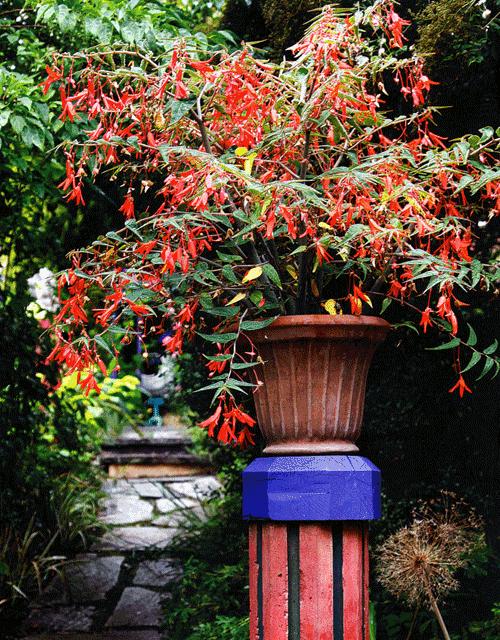 Use a step ladder to display and raise pots off the ground and give the garden height and beauty. Place garden statuary, garden sphere's in bright colors and tuck clay figurines around the planters to add charm. Make the display big by adding a lot of small items if necessary. When using a large garden container made of concrete, sandstone or a heavy glazed clay, you want to take some points into consideration before you start. Look for sun exposure. Will the plants get direct sunlight or do they need partial shade. Since these types of pottery containers are heavy you won't be able to move it or even rotate it for that matter, so the location is very important. Then think over sized? You are always advise to choose a proportion container but in this case we want you to go for the dramatic! For a large planter to looks it's best you need to select plants of different sizes. 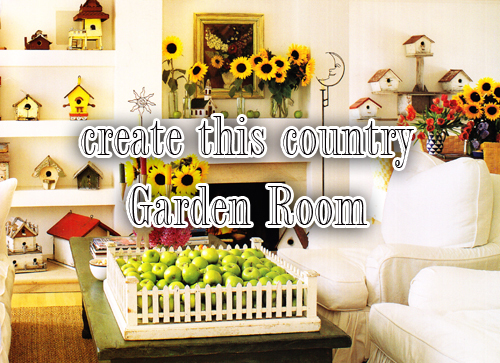 Place the taller in the center and surround it with smaller plants that will not over-take the larger centered one. 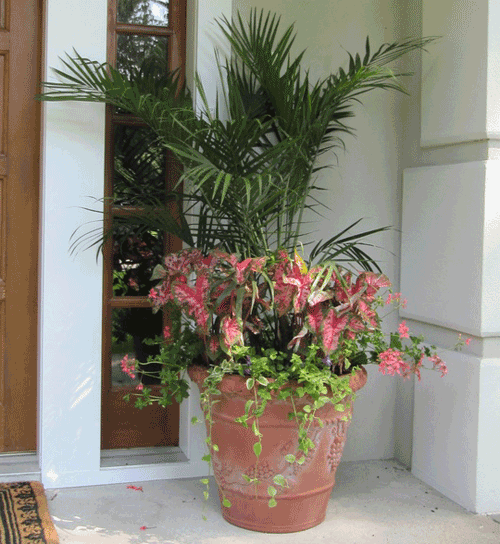 Finally always place plants that "fall" or drape over the side of the container. If they are hiding an ugly pot all the better. You must remember that it's the overall effect you are going for. Last thing is to protect your containers. Make sure there are no cracks or chips that may cause the pot to deteriorate faster. Keep the outside clear of moss and cleaned off. Using large pots is fun and easy to do. Just follow the simple tips listed above and you will create beautiful planted pots. Consider a few tips when potting plants for around your home and garden areas. 1. Keep soil clean and correct. There are different types of soil that can be purchased from your local garden center. Make sure you match the correct soil with the types of plants, flowers, or veggies that you are going to be potting. Good garden soil actually can deter pests. 2. 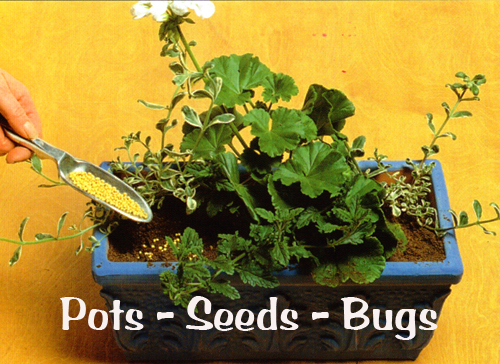 Buy pest and disease seeds. When buying seeds, search for letters like V.F.N or T after the name of a seed; they indicate the problems to which the seeds is most resistant. If using grown plants make sure there are no weeds being transferred into the new pot. They often harbor insects and disease organisms. 3. Decaying plant matter is prime breeding ground for fungus, insects and disease, so remove faded blooms, fallen leaves and weeds is key. Every time you visit your garden area or sit next to your potted plants, bring a small bucket and take a minute to tidy up. 4. If you find you must use insecticides, try to use natural products. 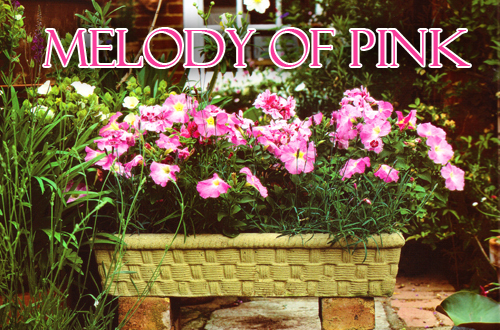 They will break down quickly in your garden planters when exposed to air and light. Be sure to read and follow the directions because these products can be harmful if use improperly. Read more.....What is your favorite house plant? 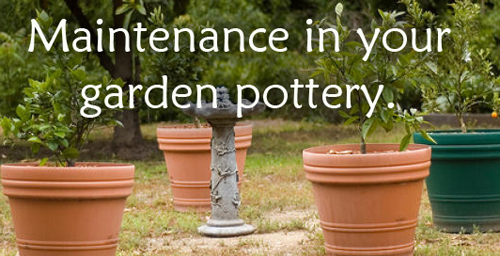 Turn Garden Pottery Problems Into Pleasures! 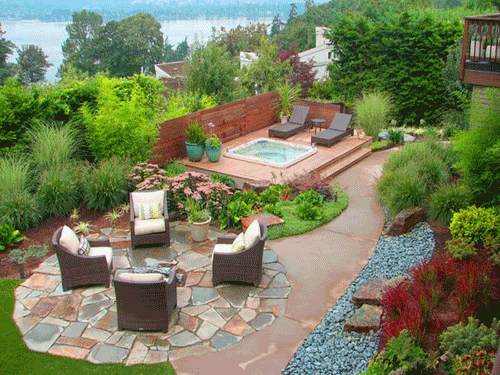 Here are some winning solutions to typical problems faced by those with limited outdoor space. Learn how to turn unusual spaces into a potted patio, how to transform a backyard or front yard into worlds of color and how to turn a deck into a splash of beauty and fragrance. 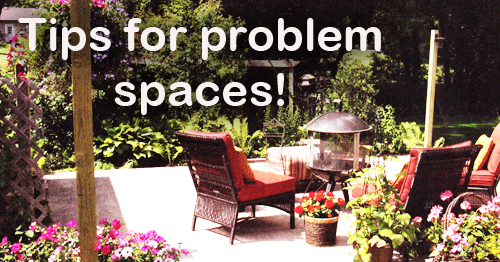 Problem: Your patio is shapeless and plain. Solution: Bright & bold colors are the answer. Turn a small area just off the back of your home into a cherry spot to enjoy an abundance of over sized potted flowers. Pot up some lush green plants that will accent the color. Use some bright seat cushions on your chairs or paint them a intense color with lots of pop. Problem: A yard of only grass. Solution: Prepare different areas with soil & color. If you find your yard is only green grass and you need to add some character and style then the easiest way is to cut patches into the grass and plant some color. Remove the sod and turn the soil to aerate it. Amend the soil with fertilizer and then place the potted flowers in the areas that you will plant them. That way you can see the pattern before you plant. Spread the flowers with green plants and add some rocks for added eye appeal. Place garden art around the plants. Don't cut sod into straight lines but rather a soft flowing pattern. 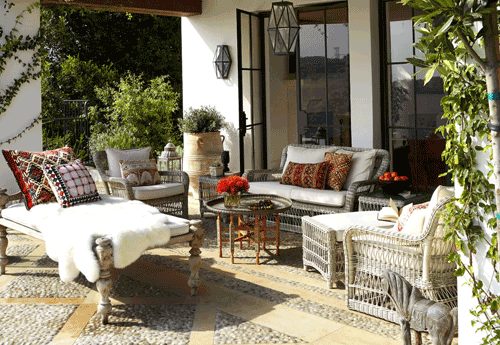 Solution: Use seating & planters to add character to the patio even during the winter months. Place patio furniture that can sit out all year long on the patio even during the months when not in use. The visual effect can not be diminished. 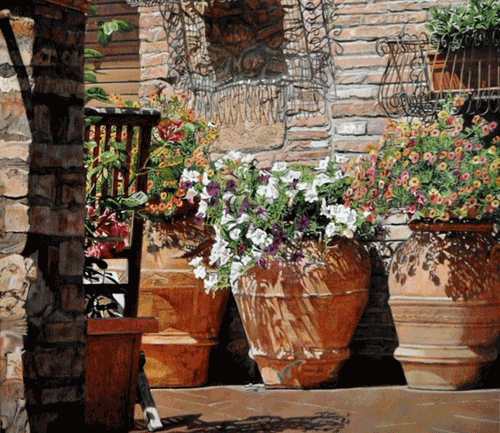 Use large pots to take up empty corners and fill them with plants & colorful flowers. 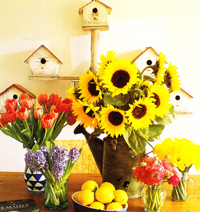 Flowering plants in bright colors add a lot to any space. Give these simple steps a try and tell us how they worked for you! Read more.....Think ahead, plants bulbs now.